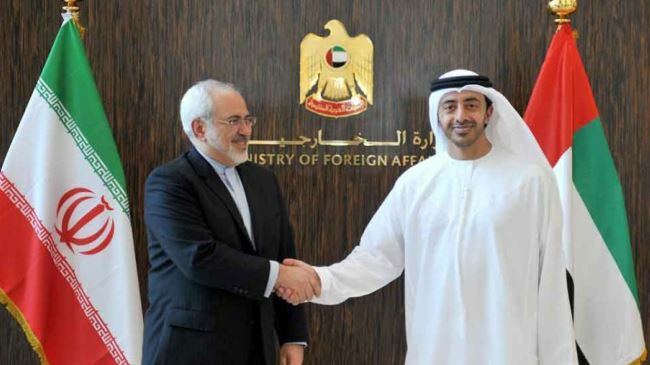 Iran and the UAE appeal for closer Muslim cooperation to snuff out the IS threat. Iran’s foreign minister has voiced alarm about the dangers of terrorism and extremism in the Middle East, calling for cooperation among Muslim states to counter such threats. Mohammad Javad Zarif made the comments in a Monday meeting with his Emirati counterpart Abdullah bin Zayed Al Nahyan on the sidelines of the 69th session of the United Nations General Assembly in New York. During the meeting, the two top diplomats discussed the crimes perpetrated by ISIL terrorists in Iraq and warned about the spread of such terror operations to other Middle Eastern states. “This threat is against all countries in the region, and that is why broad cooperation is needed among all regional states to take serious action against it,” Zarif noted. The Iranian foreign minister further called for comprehensive measures to prevent the derailment of the fight against terrorism and extremism. ISIL extremists, who have seized large swaths of territory in Iraq and Syria, have terrorized various communities, including Shias, Sunnis, Kurds, Christians and Izadi Kurds, in their advances. The two senior diplomats also discussed further expansion of relations between Iran and the United Arab Emirates, emphasizing the need for the implementation of previously concluded bilateral agreements.